I’ve been a therapist for over 20 years and a coach for 5 years, and I’ve probably had more fun and effected more change in the last 5 years than I did in the first 20. I think that’s less a reflection on therapy and more a reflection on this truism: When it’s time, it’s time. 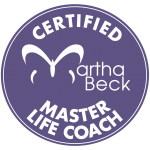 I’m a Ph.D. in Counseling Psychology from the University of Florida, a former professor of Psychology at Rhodes College in Memphis, a former Montessori teacher and teacher trainer, and a certified Martha Beck Master Coach. I’ve been a cocktail waitress, a fast food cashier, a psychologist at a private southern girls’ school, and a wedding consultant. I’ve published my writing, supervised all sorts of school counselors, and made hundreds of speeches to hundreds of thousands of people. I’ve moved our four grown kids in and out of dorms, apartments, and houses more times than I can count. I’ve been divorced. I’ve despaired as a parent. I had cancer and recovered. I met my beloved husband at a Jungian Dream Seminar. I love my children, my family, and my life. And my dogs. And my horses. 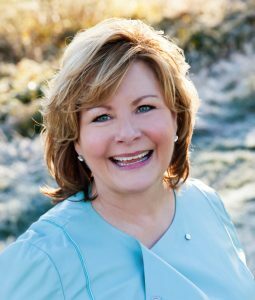 In 2014 my husband, Carl, and I began the journey of building our dream home in the Smoky Mountains of North Carolina. Reuniting many separate parcels of property, listening to what the land seemed to want, and following our hearts, we ended up with the 140 acres of paradise now called Blue Star Ranch. And, in the process, my career trajectory was altered yet again. Working with horses – both personally and professionally, with clients in the ring – has quite literally changed my life. I have been profoundly moved by my own realizations, as well as the transformations I’ve been privileged to witness. Today, I coach exclusively with the help of my wonderful horses on the grounds of Blue Star Ranch. 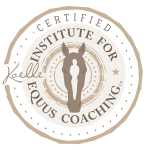 Our signature RingLeader Equine Coaching experience is the fastest route to deep and lasting personal growth that I know. I’m thrilled to be able to offer this experience, and the old-fashioned, gracious Southern hospitality of Blue Star Ranch, to others. I look forward to welcoming you!